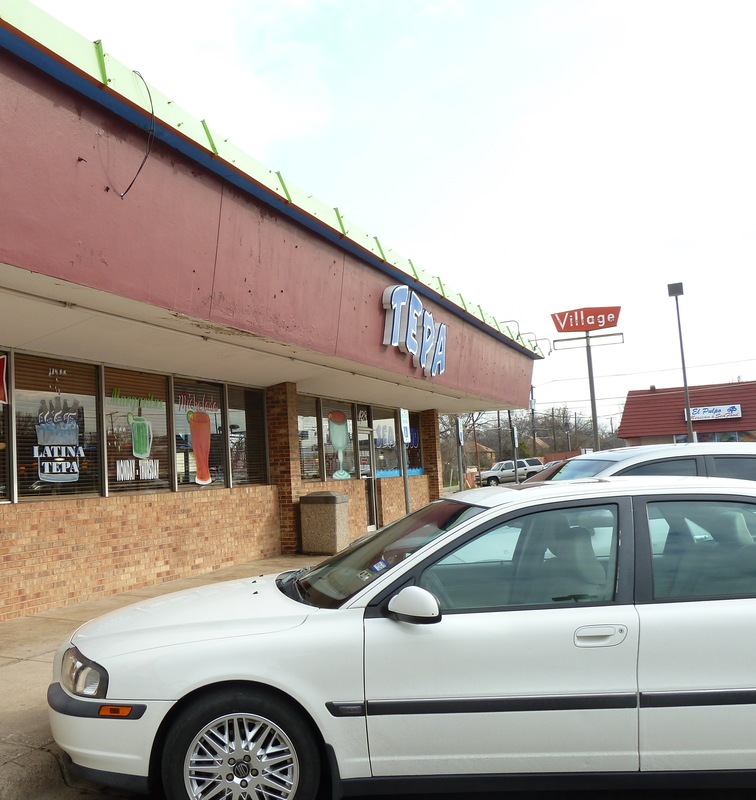 The regular tacos at Tepa are terrible. 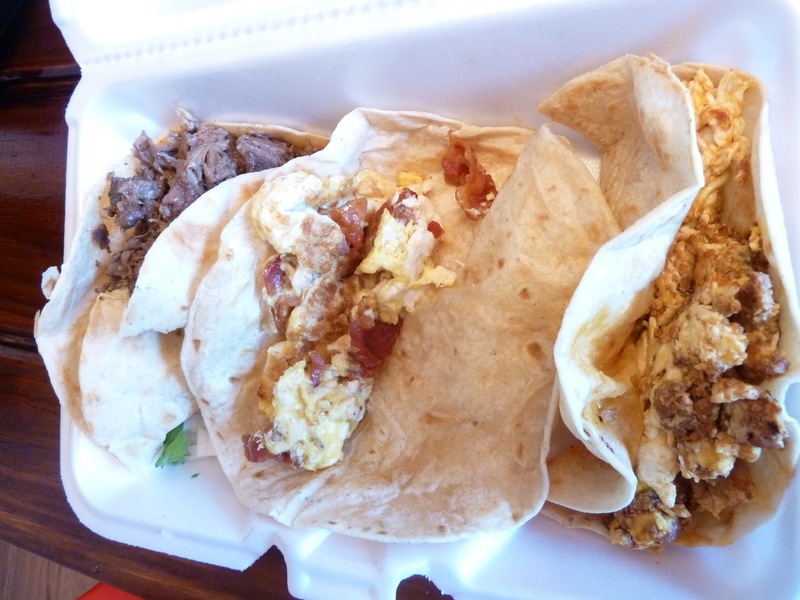 The breakfast tacos, on the other hand, are a fine haul. That’s not to say they’re perfect. The flour tortillas aren’t as spongy as I’d like them to be. However, they are cooked to order. I watched as the taquera placed the dough on to the griddle and flipped the flatbread discs when each began to puff. Shortly thereafter, I was handed a trio that cool at an unusually fast rate, which shouldn’t be a problem. You’re not going to chatter on about the day’s headlines with these babies nearby. Grab onto the crisp bacon sprinkled over eggs that have been neatly stopped from cooking to the verge of dryness. Seasoning is another matter. The first time I enjoyed the bacon and egg, it needed nothing. My follow-up visit showed otherwise. That didn’t torpedo the taco for me. A dollop of salsa was all it took to give the bacon and egg taco the edge it required. If you do reach for the salsa, go for the green. The sweet heat of the blended stuff isn’t the juggernaut of spice that is the salsa roja. That mars the palate. The chorizo, a salty hodgepodge of yellow, white and burnt umber, stands on its own, as did my first breakfast taco, a chorizo and egg combination made from sausage hand-delivered to Brooklyn by my mother-in-law, wrapped in a chewy flour tortilla from the Chinese-operated Tex-Mex storefront down the street. It made for an ideal gateway breakfast taco. While the barbacoa isn’t on the standard breakfast taco menu, an order of breakfast tacos without barbarcoa is incomplete. At Tepa, the beef has a shiny veneer hinting at tender meat mixed with fatty bits and permeated with a smooth zip. And if you’re going to start your a day, isn’t it best to do so smoothly—with breakfast tacos.